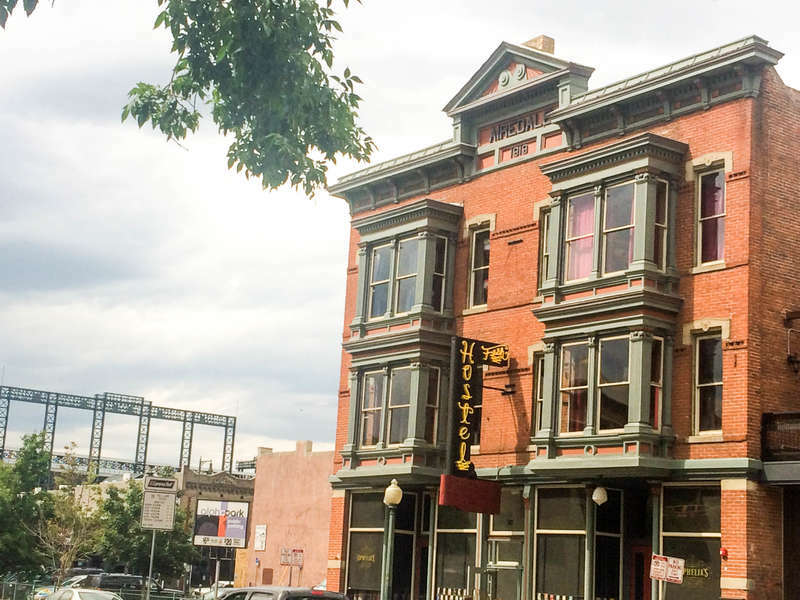 Hostel Fish is located in the heart of downtown Denver, just a few steps away from the best nightlife of the city and two blocks for Coors Stadium. The hostel contains 11 rooms, 9 of which are shared and 2 private. 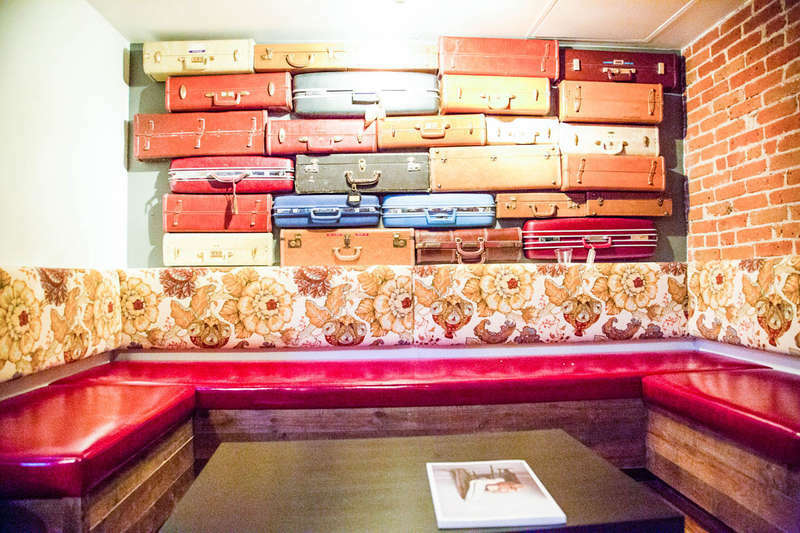 Each room was decorated by a different interior designer which gives the hostel a unique, eclectic feel throughout. Check out all of the different rooms and pick the one that you love the most. We also have a full bar on-site called The Exchange Rate. Swing by, meet some fellow travelers, and have a cheap drink with us. Our front desk concierge staff are awesome and knowledgable about Denver. If you need any advice or suggestions on what to do during your stay, our staff is here to help. Hungry? 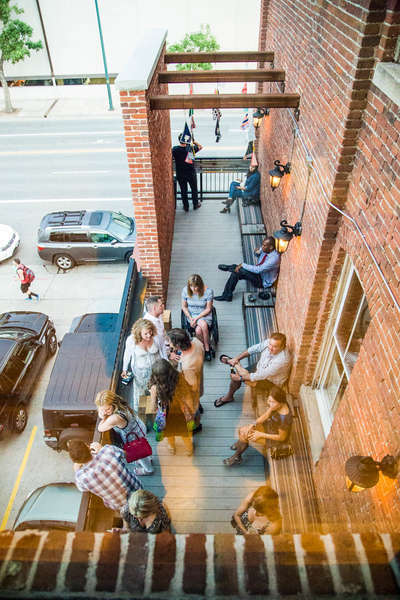 Take our elevator down to Ophelia's Electric Soapbox to eat great food, sip on delicious drinks, and listen to live music. If staying in is more your style, use our kitchen to cook your meals. From Wynkoop St, walk northeast toward 18th St. Take a right onto 18th St, and then a left onto Larimer St. Take a right onto 20th St, and we will be on the left between Larimer St and Lawrence St.
Exit Pena Boulevard to I-70 West. Use exit 274 to Park Ave W. Take a left onto 22nd St, and then a left onto 20th St. We will be on the left between Larimer St and Lawrence St.
From 20th St, walk northwest past Arapahoe St. We are on the right between Lawrence St and Larimer St.
Take I-70 West. Use exit 274 to Park Ave W. Take a left onto 22nd St, and then a left onto 20th St. We will be on the left between Larimer St and Lawrence St.
Take I-70 East, and then use exit 261 for US-6 E/6th Ave. Merge onto I-25 North. Take exit 212C for 20th St. We will be on the left between Larimer St and Lawrence St.
Take I-25 South, and use exit 213 for 38th Ave/Park Ave. Take 22nd St, and turn right onto Blake St and then left onto 20th St. We will be on the left between Larimer St and Lawrence St.
Take I-25 North, and use exit 212C for 20th St. We will be on the left between Larimer St and Lawrence St.